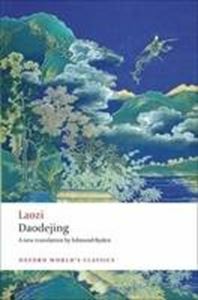 Quick overview The Daodejing encapsulates the main tenets of Daoism, a philosophy and religion whose dominant image is the Way, a life-giving stream that enables individuals to achieve harmony and a more profound level of understanding. This new translation draws on the latest archaeological finds and brings out the word play and poetry of the original. 'Of ways you may speak, but not the Perennial Way; By names you may name, but not the Perennial Name.' The best-loved of all the classical books of China and the most universally popular, the Daodejing or Classic of the Way and Life-Force is a work that defies definition. It encapsulates the main tenets of Daoism, and upholds a way of being as well as a philosophy and a religion. The dominant image is of the Way, the mysterious path through the whole cosmos modelled on the great Silver River or Milky Way that traverses the heavens. A life-giving stream, the Way gives rise to all things and holds them in her motherly embrace. It enables the individual, and society as a whole, to harmonize the disparate demands of daily life and achieve a more profound level of understanding. This new translation draws on the latest archaeological finds and brings out the word play and poetry of the original. Simple commentary accompanies the text, and the introduction provides further historical and interpretative context. ABOUT THE SERIES: For over 100 years Oxford World's Classics has made available the widest range of literature from around the globe.